Master-Kay has the right combination! BORN and raised in Saulsville, Pretoria,Kgosi-Etsile, aka “Master-Kay”, Dube is a producer, rapper, model, actor and comedian. Although he started rapping in 2011, he reckons that this is still a learning process for him. And he dreams of becoming a musician of note one day. In 2012, Master-Kay became a member of the group called Student Rappers Music Group. A year later, after gathering all theperforming and recording experience, he joined a music group called Global Thugz based in Brooklyn, in the US, but have branches in Nigeria, Lagos, and Mzansi. Last year, Master-Kay decided to use his producing skills, coupled with his lyrics, mixed with swag and a combination of his Trap beats, to work on his first mixtape, New Testament. Inspired by Young Chop & Soulja Boy, who grew up in the same way he is growing and also inspired by his surroundings whichinclude current affairs, life experiences and other people’s stories, Master-Kay uniquely blends his different expertise into a musical fusion of amazement! So far, he has performed with: Notshi, King Lu, T-Buck, Brandon Records members, BeezMakhi, Trey Mash, AYP Crew, Mafikizolo (stage-opening), Man Malaya and many other top names. His first single, We’re Winning featuring Westcoast Cizzle, was on Tshwane FM’s top 5 for two weeks. It was also playlisted on Elegant Hoodness radio based in the US and then it made it on the most popular website in Mzansi, Waptrick.com. And his second single, My Ambition, has also created a buzz on local radio stations,earning him a lot of respect in media circles. But Master-Kay’s focus is not on musiconly. 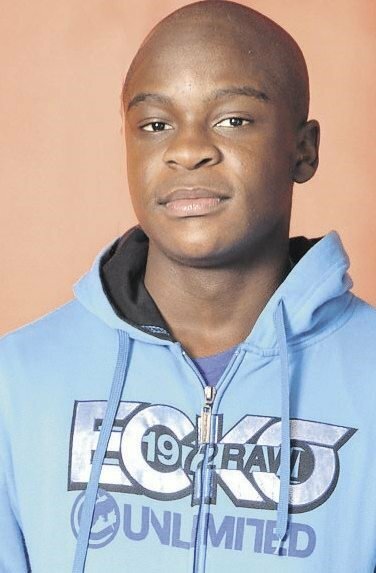 In 2012, when he was 13 years old, hecontested for the Mr & Miss Pretoria beauty pageant and reached the semi-finals. In that same event he also did a comedy drama show as a curtain raiser, together with his acting team, Zero2Hero. In February last year Master-Kay appeared as an extra in Jik and Dettol ads. In April, also last year, he finally got a part of cheering on the SABC2 soapie, Muvhango. His scene was during Busi’s farewell. He loves entertaining the masses in many ways – although most of his time is taken by music. To date, Master-Kay has 12 completed tracks which are part of the New Testament mixtape,featuring both international and local artists, including Westcoast Cizzle, Gramzunkut, Peta Lacore, Stormy, Citty Boii, King Lu, T-Buck, Global Thugz, Yum Yum and his step-father known as Prince E.
The mixtape is now available on Datpiff.com and got over about 500 hits in just five days after its launch.